The Fleet Street Hotel is perfectly positioned at the quieter end of the renowned Temple Bar, yet only moments away from the hustle & bustle. 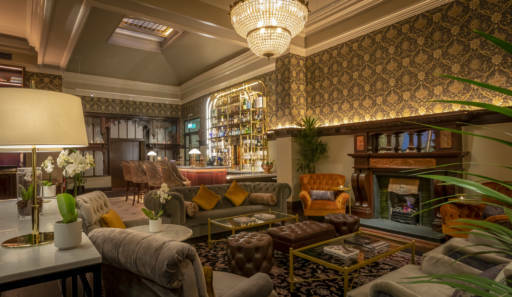 The Fleet Hotel is a wonderful boutique style Hotel located in the centre of Dublin on the edge of Temple Bar. It comprises of some beautiful period buildings including the iconic Bewleys Café, much loved by Dubliner’s for decades. Temple Bar has a myriad of attractions & landmarks such as Grafton Street, Trinity College and The Guinness storehouse to name but a few. Described as funky, cool and friendly, The Fleet Street has a mixture of rooms to suit each individuals' needs. Every room is individually decorated in crisp linen and shades of smooth chocolate and autumn toned soft furnishings. Each are equipped with en-suite bathrooms, power showers, flat screen satellite televisions and all day and night free Wi-Fi to ensure your stay is as comfortable as possible. 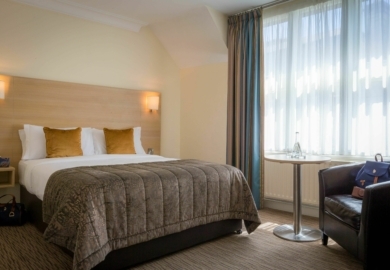 If you are looking for a hotel beside Trinity College or a hotel in Temple Bar, we are it! 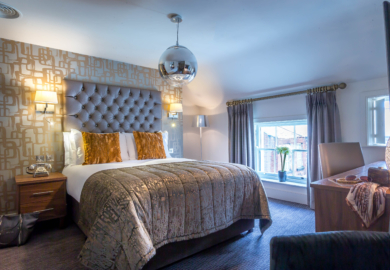 The Hotel has recently undergone major refurbishment that has beautifully restored many of the original features of these buildings and now boasts one of the capitals finest Hotel reception & public areas which includes a luxury café & Bar. The Fleet Bedrooms are a mix of rooms in the original wing and in the main body of the building. These too have had a wonderful refurb with oversized showers with rain heads & beautiful Italian porcelain tiling. The Bedroom has a mix of rich fabrics and walnut wood finishes and the comfiest beds imaginable. The Fleet is fully committed to our social responsibility and continue to be the at the forefront in innovation with how the hospitality sector can help the environment. We are thrilled to be leading the way and be the first Hotel in the world to trial a full room linen solution which uses up to 25% of recycled plastic bottles in the manufacture of our sheets, towels, duvets, pillows & robes. Our aim is to complete these trials by mid March and to be in a position to roll out this full room solution to all our bedrooms by July 2019. The team at the Fleet Hotel, though small, is a mixture of professional hoteliers dedicated to our guests & each other and who continuously exceed our guest expectations and offer a service second to none. They are proud of our achievements to-date and look forward with enthusiasm to new challenges ahead. The Fleet is located within walking distance of all major landmarks and is in the heart of the main shopping districts. 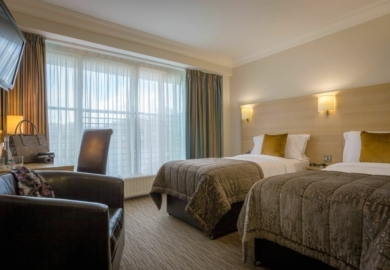 The hotel is located in between Grafton St and O'Connell St, Dublin's two main high streets. We are located around the corner from Westmoreland St. which has a stop for the Air coach which goes to and from Dublin International Airport and is also the main bus stop for many of the cities bus routes. We are a mere 2 minutes' walk from Tara St. DART station which is an over ground train system for the Dublin region and in addition it is a short 5 minute walk to Connolly Station and Heuston Station which are the main train stations in Dublin with connections across Ireland. The Luas is a light rail system connecting the Dublin region and the nearest stop is only a 5 minute walk from the hotel to Lower Abbey St. You can read more about how to locate us further below.